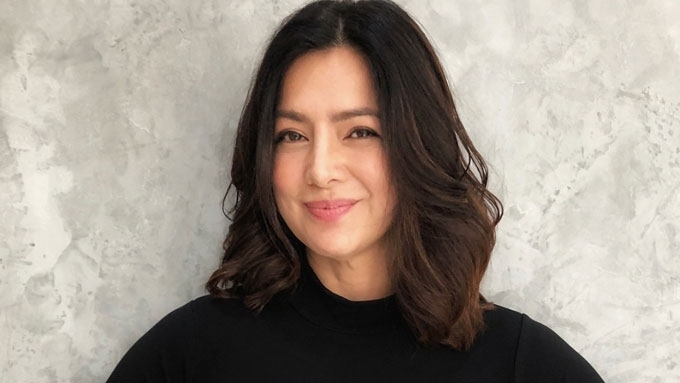 Alice Dixson became famous in 1987 for saying "I can feel it" in a soap commercial. The year before that, she was crowned Bb. Pilipinas International. How did Alice Dixson spend her first paycheck? On Instagram, the actress posted a throwback photo taken in 1988—two years after she was crowned Bb. Pilipinas-International and a year after she became famous for saying "I can feel it" in a soap commercial. She was then 19, a college student, and had just earned her first salary as an actress for playing Faye, the female lead of Vic Sotto in fantasy comedy TV show Okay Ka Fairy Ko! Going back to the first question: How did she spend her paycheck? The 49-year-old recalled bringing her friends to a pizza joint near their campus, which her followers identified as St. Paul College Quezon City because of their uniforms. Her caption read: "Look what one of my college besties dug up from her baul! Lunch at our local pizza joint near campus. I had just started taping #OKKaFairyKo and treated my friends with my 1st paycheck; so I asked for extra extra cheese! "Simple memorable joys and innocence... Mga virgins pa kami sa life and love. Well most of us anyway lol lol lol. "I know what you did last summer... walang bukingganan!!!! BTW 30 years ago na 'to!"